Facebook is currently working on a new feature that notifies you when someone is impersonating your account. 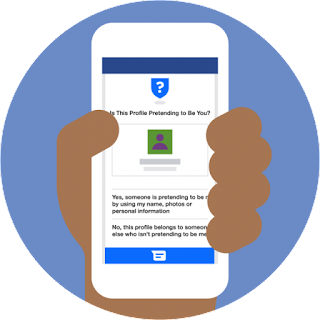 This new feature to be launched on Facebook will automatically alert you if it detects another user is impersonating your account by using your name and profile photo. Despite this notification process being automated, profiles that are flagged as impersonations will be manually reviewed by Facebook's team. According to Facebook's Head of Global Safety Antigone Davis, this new feature is currently available in almost 75 percent of the World and their are plans to extend it to other parts of the world as soon as time permits. According to him, "the impersonation alerts are part of ongoing efforts to make women around the world feel more safe using Facebook"
The company has been hosting round table discussions around the world with users, activists, NGOs and other groups to gather feedback on how the platform can better address issues around privacy and safety. In my own opinion, this new facebook feature will definitely address the problem faced by many celebs and philanthropists that often discover fake facebook accounts in their name extorting or spreading false news to unsuspecting fans.